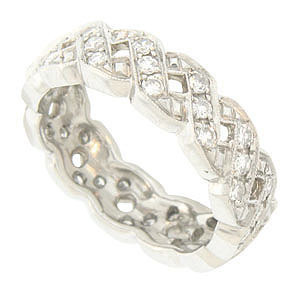 A bold, open weave set with round, faceted diamonds embellishes the surface of this vintage platinum wedding band. A total of .80 carats of diamonds is set into the face of this gorgeous ring. 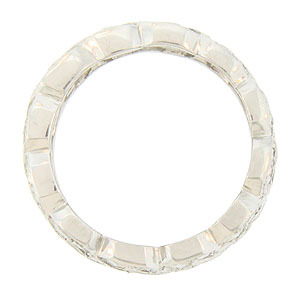 The sparkling wedding ring measures 5.64 mm in width. Circa: 1940. Size 5 3/4. We cannot re-size.